This year there will be 22 teams in the Tour – 18 pro-teams and 4 by special invitation. 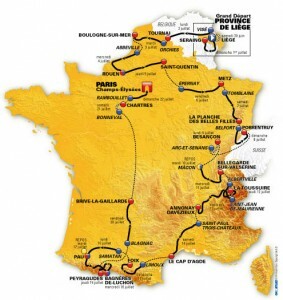 Two new teams are included in the special invitation catregory (along with Europcar and Saur- Sojasun). The new teams are Orica – Greenedge from Australia and Argos – Shimano from Netherlands ( Formerly Project 114i). Links to all teams, their websites and Wiki information are below. ’CYCLING NEWS .COM’ … EXCELLENT ONLINE MAGAZINE COVERAGE …….